Canadian First Aid Training Ltd.
Canadian First Aid Training Ltd. is a Winnipeg-based safety training, supply and service company that specializes in first aid, CPR, and Automated External Defibrillators, as well as other emergency preparedness training. During the first two years of opening, the company’s owner was torn between carrying on with traditional paper accounting and newer electronic paperless technologies. Upon careful consideration, it became clear that one method offered significant advantages over the other. 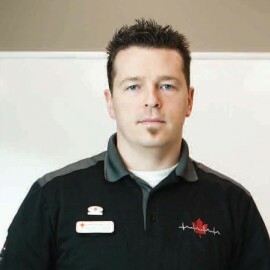 As with all start-ups, cash flow was a consideration for Canadian First Aid Training Ltd.’s owner Christian Clavelle. When considering the effort associated with maintaining paper-based accounting systems, the cost and time required to make a single payment seemed to be excessive. The expenses and effort involved in a cheque-based system included printing, mailing and manually preparing cheques, as well as tracking and reconciling payables/receivables, and setting up client and vendor accounts, not to mention the personnel required to carry out these labour-intensive tasks. With a single desktop application from Telpay, Christian was able to bypass the costs of paper accounting. Telpay sets up all vendor accounts, banking and controls and transfers the funds so Christian was able to focus on other important tasks associated with growing a business. Canadian First Aid Training Ltd. has blossomed into a very successful company, and the decision to integrate Telpay helped them through the critical start-up years.